As an author of nearly 20 books for children, is it safe to assume that you always knew you would eventually be a writer? I was a quiet, shy kid, happiest drawing or reading or wandering outside in nature. While I adored reading, I never imagined I could become an author. I had this idea that auhors were “special” somehow, and certainly not shy like I was. 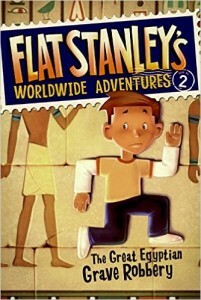 We never had an author come to my school, so I had no idea they could be regular people. My fourth-grade teacher appreciated the stories I wrote and told me I was going to be an author one day. I thought she must have been crazy! So you pursued art instead of writing? Why and when did you decide to become an author? 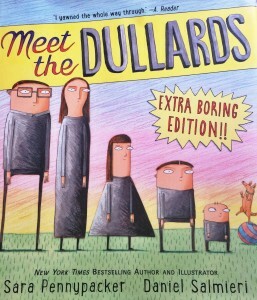 I wrote the Dullards as kind of a cautionary tale for grown-ups! Sometimes I think we can get so wrapped up in safety or maintaining norms that we forget how exciting and fun this world can be. Yes, I was a watercolor artist. I tended toward semi-abstract naturalism—I certainly wasn’t an illustrator at all. 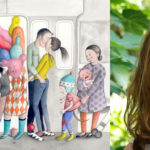 When I had my two children, I discovered how amazing children’s fiction had become and I was absolutely smitten: I HAD to learn to write for children! It was a very deep, very sure, conviction: I was meant to write for children. Luckily, I didn’t know how difficult it was to break into the field—I charged in with all my heart and energy, and assumed I’d get published. Amazingly enough, I simply submitted a novel to a couple of publishers. My editor later told me it initially caught her attention because I was such a compulsive copy editor—she’d never seen such a clean manuscript. 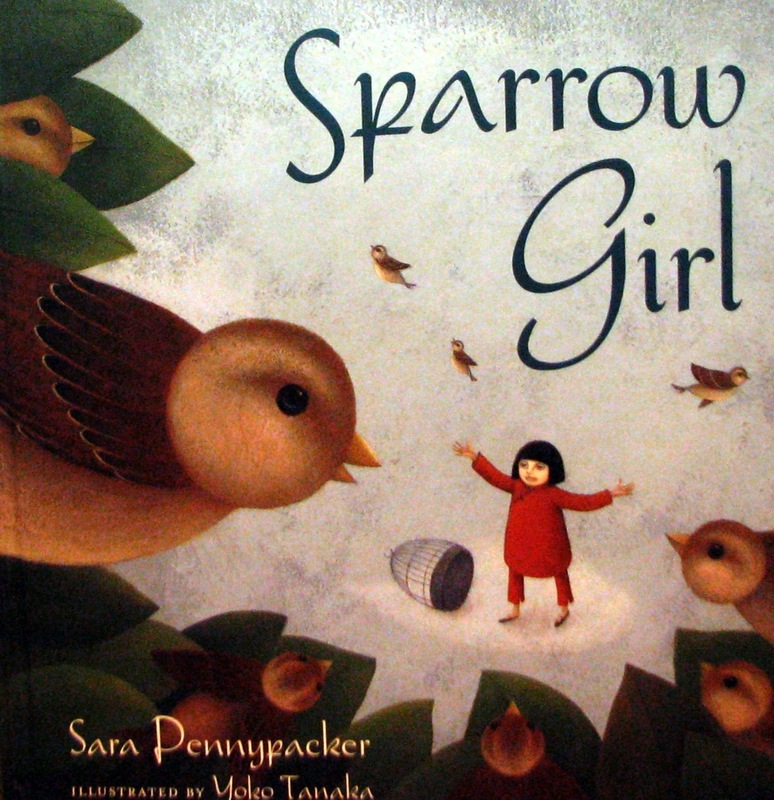 The Library of Congress has your work listed under two names: Sara Young and Sara Pennypacker. Why is this? Is one a maiden name? 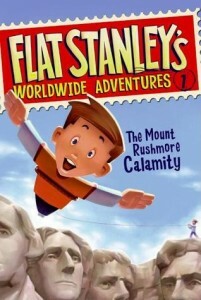 A pen name? Both the names are real. I was born Sara Young, and I’m that again now. But for 22 years, including the time when I started writing for children, my married name was Pennypacker. 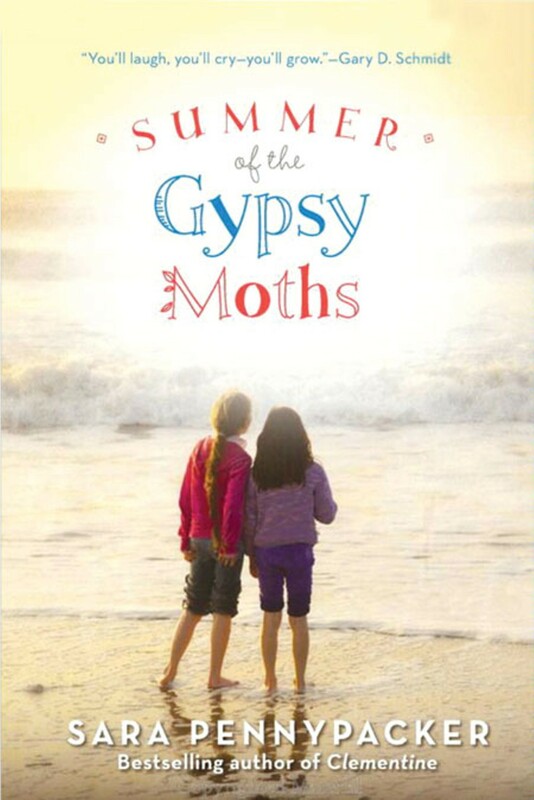 When I wrote my first novel for adults, I decided to separate it from my work for children by using my maiden name. Beyond writing, you have been and continue to be involved in outreach work involving literature. Why? I am a passionate believer in the power of books to change lives. Reading stamps a child’s passport to humanity and offers her/him tickets to wherever s/he wants to go. Books show readers both who they are, which is reassuring and validating, and who they could become, which opens up their possibilities. Maybe best of all, though, is that with enough exposure to stories, kids learn to see and express their own life experiences as narrative “Hero’s” journeys. Please explain a bit about the Share Our Books and the DREAM programs. I am a very small part of the DREAM (Developing Reading Education through Arts Methods) Program out of Cal State San Marcos: my Clementine books are used, and I visit several of the schools participating in the program. With a new series of books introduced this year, it doesn’t look like your life will be slowing down anytime soon! So tell us about Waylon. I decided it was time to write a Clementine-ish series about a boy character. I wanted him to be very different from her, but like her in that he’s a great kid, with a great family, struggling with the ordinary things that go on in life. 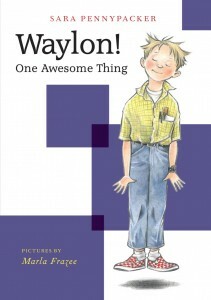 I describe Waylon as “the scienciest kid in school” and also as having a fabulous optimism and sense of what could be possible—through science of course! I love writing about kids and their pets, so the Waylon books (Disney-Hyperion) have a big story-line about a stray dog named Dumpster Eddy that flows through the whole series. If there are any take-aways from the series, it might be these: First, Waylon is interested in the science of emotions—he gets it that emotions are not anti-science, and science is not anti-emotion. Second, I love the game he invented called One Awesome Thing. Even on the worst of days, it’s helpful to name one awesome thing that happened. Right now, I think it will be a three-book series, but nothing is definite. 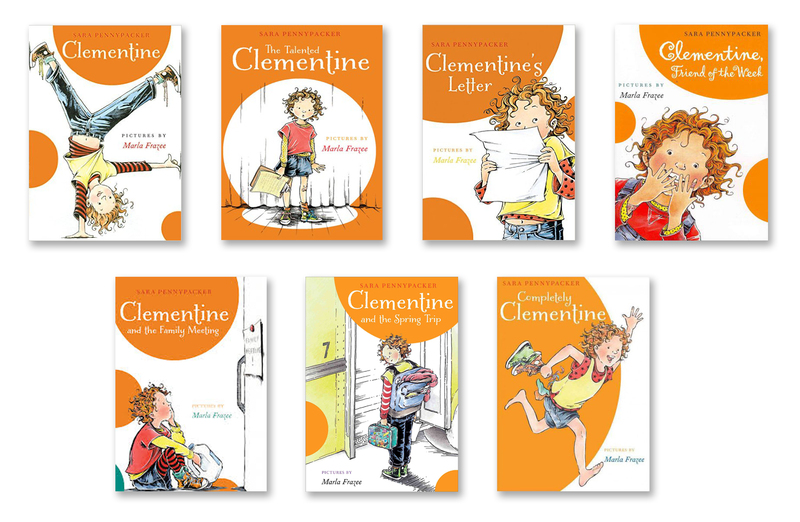 Speaking of Clementine, last year Completely Clementine (Disney-Hyperion, 2015) was published. That girl is quite a work in progress! Is she based on someone you know? What about Margaret? Ah, Clementine! She was inspired by my son, who was told to “Pay attention!” a lot (and unfairly!) when he was little. I blended some of my daughter’s personality into her as well, so she really feels like one of my own kids. Because she has that real-life pedigree, I’ve filled the books with real anecdotes shared by kids I know—that’s made her even more fun to write. Margaret is an old writer’s trick: to provide drama and humor, the author often creates a secondary character who is the opposite of the main character. Clementine and Margaret are attracted to each other, but also drive each other crazy because they are opposites. Will there be additional adventures for Clementine fans to look forward to? A long while back, I decided that seven was the right number for the series. I had seven main storylines, and they would take Clementine all the way from the beginning of the third grade to the last day in June. I never wanted her to get stale, so I’ve ended the series. What I didn’t predict was how much I’d miss her, and how much I’d miss writing chapter books about the everyday trials of elementary-age kids in school and with their families and friends. Sooooo…enter Waylon! Some of the names you assign characters in your books are quite unexpected and humorous. Waylon’s sister is “Neon” and Clementine’s cat is “Moisturizer.” What would ever give you the idea to call a cat Moisturizer and write that into the story? Oh, I LOVE naming characters—it feels like one of the sweetest perks of my job! Names are never given lightly, although sometimes the importance of a name is a secret only I know. By the way, I can’t take credit for Moisturizer—my son knew a little boy who actually named his cat that! 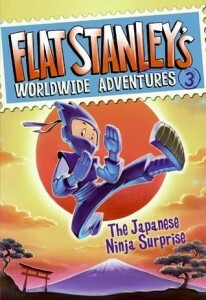 How did you get involved in writing Flat Stanley (HarperCollins) adventures? Were the topics chosen for you or did you select the themes? And do you anticipate writing any more books? Actually, I don’t know how I got chosen for the job—I just learned that Jeff Brown’s heirs and publisher had requested me. 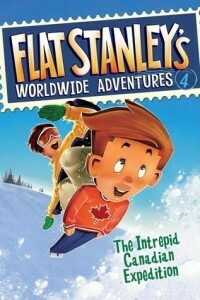 It was a great honor to carry on with Flat Stanley’s adventures, but four books is all there will be from me. And yes, the topics/storylines were chosen for me. 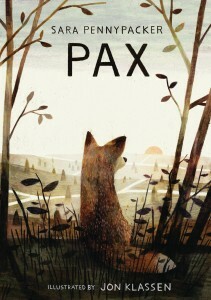 One of your latest books, Pax (Balzer + Bray, 2016), is an amazing story of love, loyalty, and loss. Apparently the National Book Award committee was touched, too, as it made this year’s long list. In your opinion, what makes this story so special? And why did it need to be told? I’m thrilled by the reception Pax is getting. The book is so close to my heart, and was such a challenge to write. All along I knew it was a risky book—not easily categorized—so I figured it might get ignored. But that didn’t matter—it was the kind of story that demanded to be written, and I felt lucky it had chosen me. Do you still make school visits? What kinds of things can students look forward to when you come to their classrooms or libraries? I do school visits because I really enjoy them and I get so much out of spending time with readers. I talk about what it’s really like to be a writer, and encourage kids to think about how the job might suit them—the world will always need storytellers. We spend a fair amount of time with Q & A, especially with the older grades, because we get into some wonderful conversations that way. Unfortunately, I’m limited in the number of visits I can make in a year, though: first, because I’m writing so much right now, and second because travel takes a toll on my back. Do you respond to fan mail? What is the best way for readers to contact you? Sadly, I cannot respond to fan mail. I have to stay disciplined because I have so many books that need to be written! The best thing to do is write to my comments column on my website. I read everything, although I can’t respond to very much. What books can your fans look forward to seeing from you in the near future?